I love Hermes scarves. I love, love, love scarves! From chiffon to heavy silk to satin to linen/cotton to even wool and cashmere. Scarves simply offer the very best in fashion for every season. Silk scarves for women are a thoughtful and useful gift which creates lasting memories beyond the fresh flowers and chocolate. 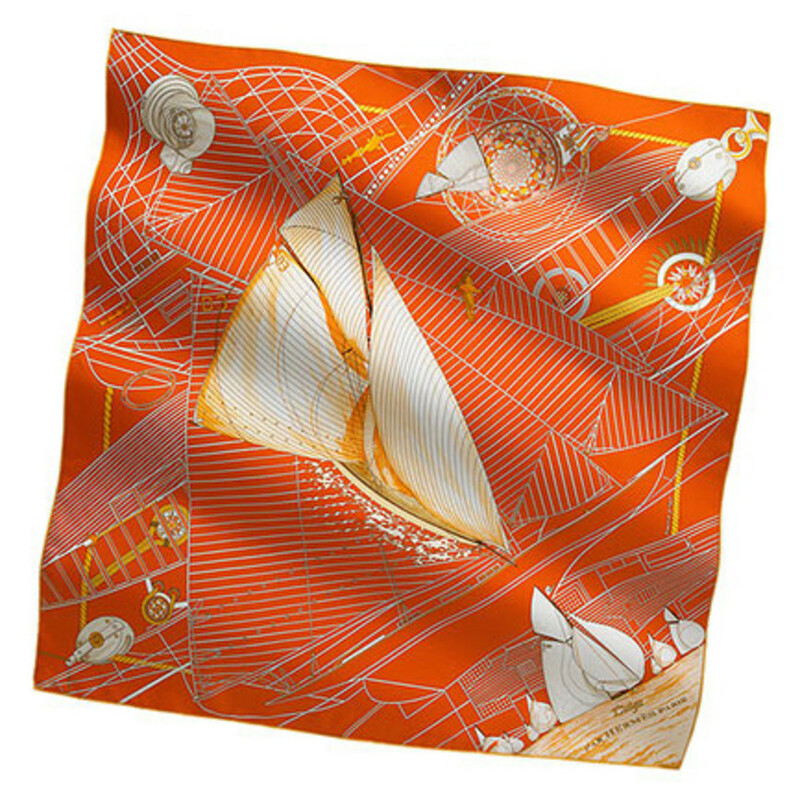 Hermes scarves are made in amazing fabrics from cashmere to silk. Silk is the fabric of choice because it is very durable but also a great value since we can wear silk even in the heat of summer. Silk has both a cooling and a warming effect. Scarves are an essential IF you are over 40 and female and fighting the wrinkles around the neck. A beautiful scarf adds color and life to your face and to your very soul. No matter your age, a scarf filled with color and artistry is uplifting to you soul. 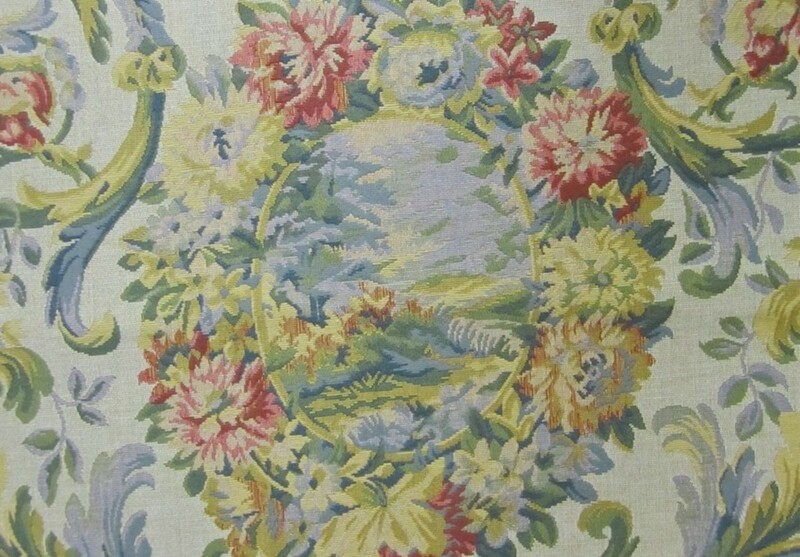 There is another delightful fabric which is also silk, a very fine sheer silk called "mousseline" which I imagine would in American terms be best described as a chiffon. Silk of any sort is a great long term investment for your wardrobe. 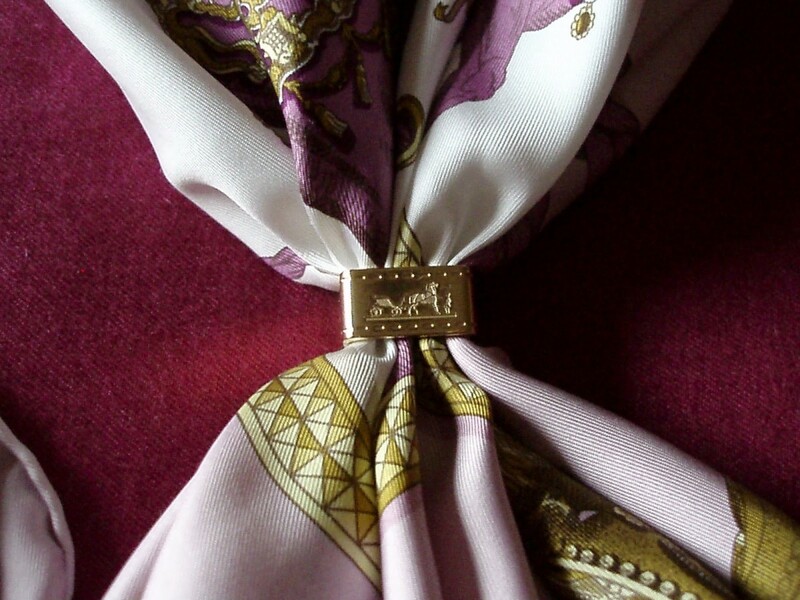 Of all the great fabrics, a heavy, high quality silk scarf such as Hermes will last you a lifetime. A great fashion investment that will serve you for decades as my Grandmother's silk scarves have served me. Silk Scarves Forever - Well Almost! Silk scarves will last decades - my favorite scarf is from my Grandmother which she received as a gift before I was even born! A Greek God. I love history so to me this is fascinating. If you enjoy a tidbit of history - you must read this article: The Greek God Hermes. And the photos are remarkable in this article! Enjoy! My best friend was giving advise to another female and she stated to quit wearing black and tan and add color. 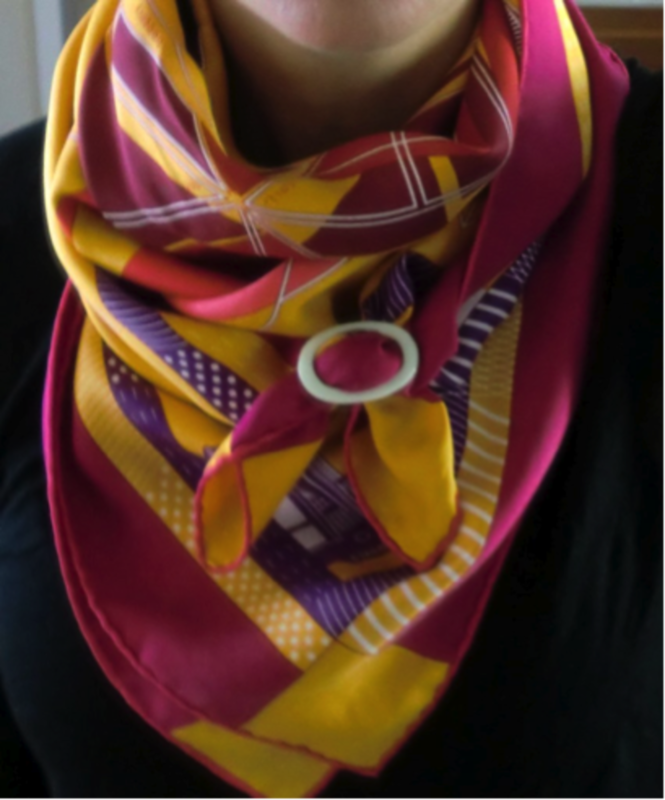 A scarf with bold beautiful design and color, with a luxurious fabric next to your skin - especially your neck is one of the very best anti-depression medicines outside of pure exhilarating exercise (the exercise professional tiny input here) and for some ladies shoes! 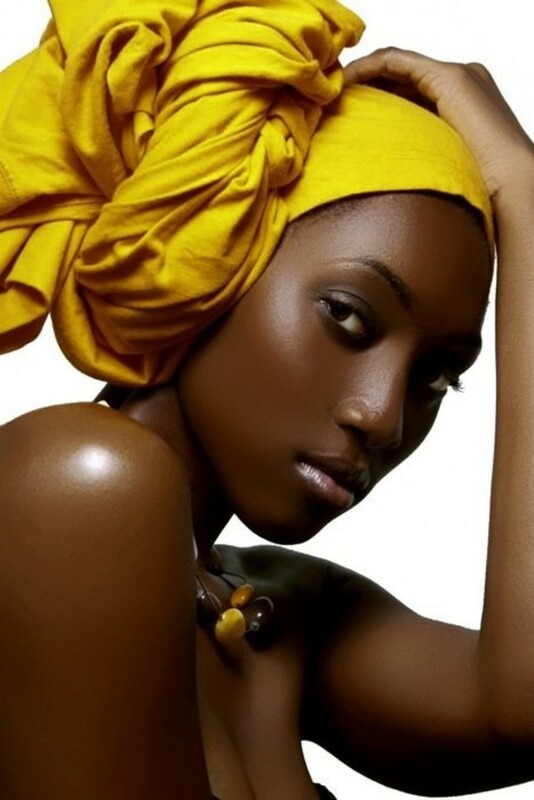 Ladies with scarves are memorable - the scarf will forever define your personal brand. If you care about your fashion statement and want to take it up a notch for not allot of funds - buy a couple of quality scarves and wear them on a regular basis. In the spring, I have a special blue scarf that literally marks the end of the winter for me. 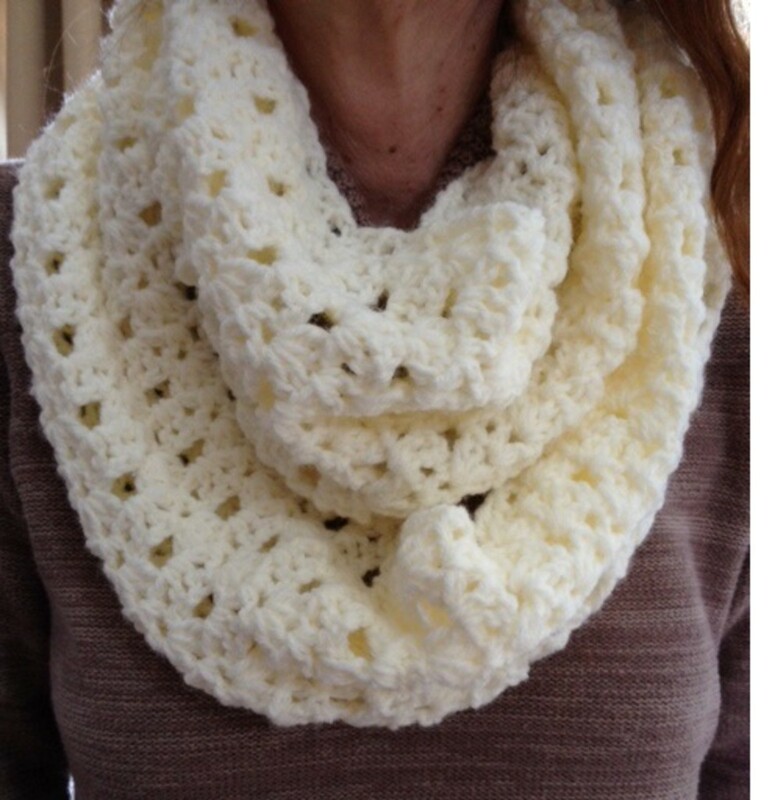 The top I wear is very basic but the scarf is stunning! Men Will Compliment Females on their Scarf! Men you must explain this one to me. I can wear jewelry, wear new shoes, even have a new hair color or style but you never mention it - almost always when I wear a scarf I get a compliment - over and over again! I love it! Don't understand it - but love it! Great fringe benefit of wearing a scarf. A sister of a close friend is undergoing cancer treatments which left her without her beautiful blond hair. She confided that she refuses the wigs but she has begun to enjoy the scarves. Hermes Pronunciation: If you want the correct pronunciation of Hermes, check out the video - An Expensive Little Habit - French Scarves. Proper Grammar Side Note: A single piece of this wonderful fashion accessory is "scarf", multiple items should be referred to as "scarves". There are hundreds of options for wearing scarves from belts to head wear to tied in front, knotted and even knotted with multiple knots. Here are my top three favorite scarf options. Technically these three items are all different - although similar in purpose - just a different method. 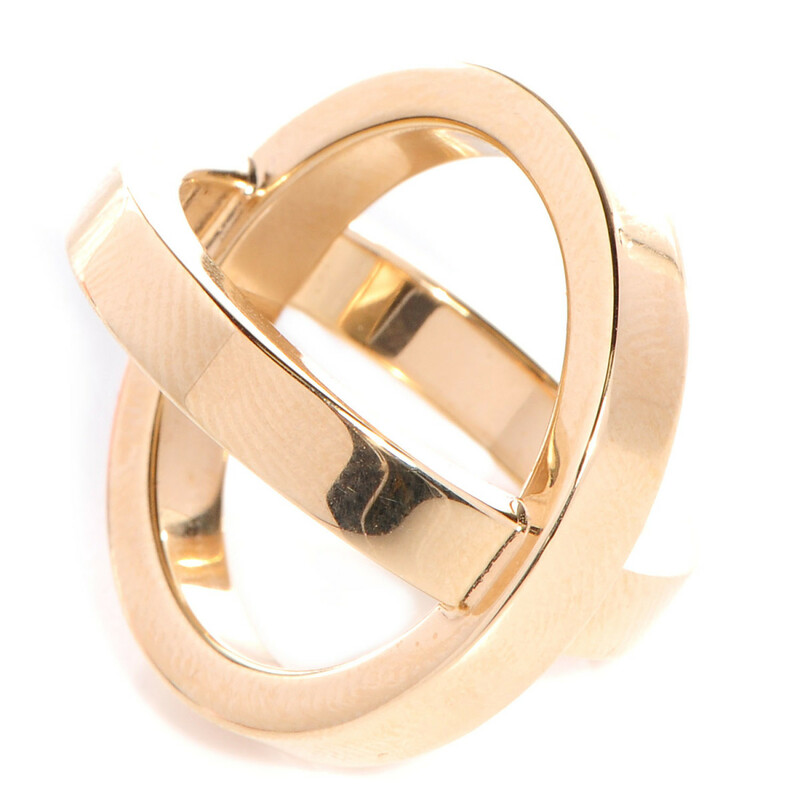 Scarf clips and rings are fun and functional too! I actually own just one - classic and multifunctional. It is gold with small crystals and goes with everything and anything. 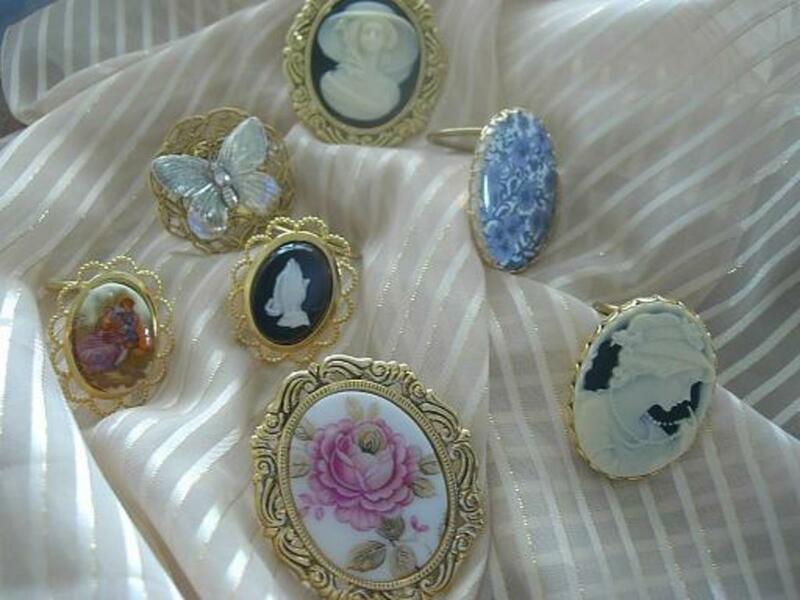 Scarf Clip: A scarf clip opens and will often have a clasp similar to a clip earring. 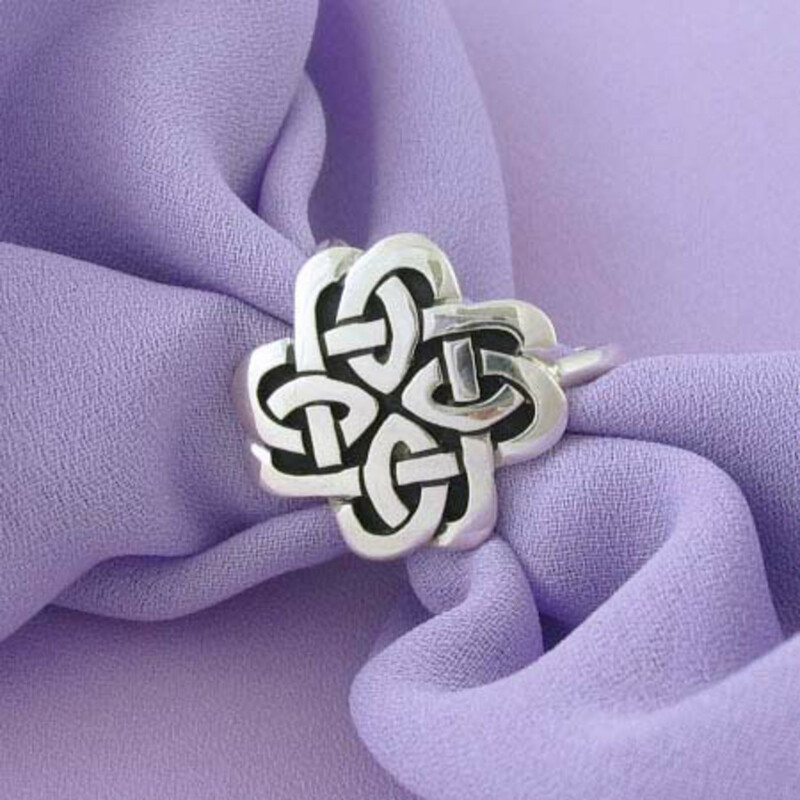 Scarf Ring: A ring is almost identical (albeit smaller in size) to a napkin ring (this is the one piece that I own and use always with my blue spring scarf). Scarf Slide: And a slide is often flat with a bar across the center to add stability to holding a soft scarf. 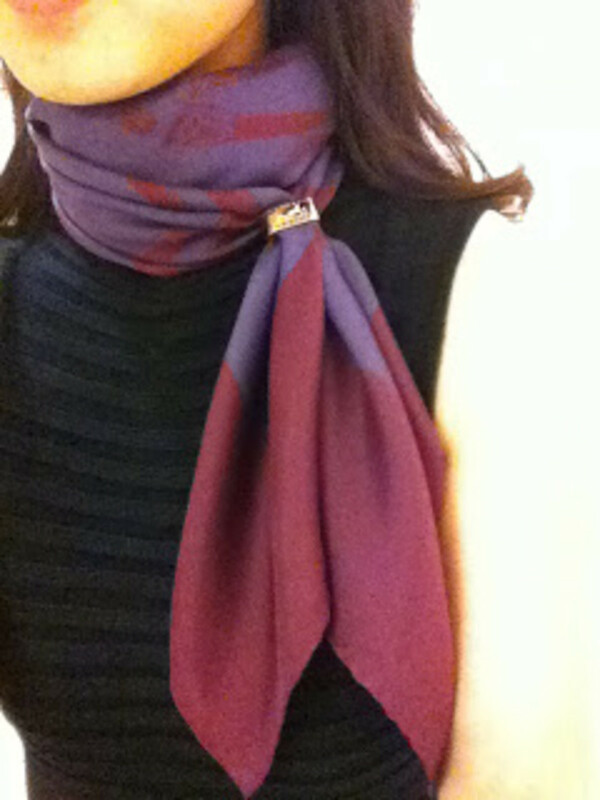 I love this option - it keeps your scarf safe and secure and right at hand and add great color to any outfit. Very fashionable statement especially with the right size bag. 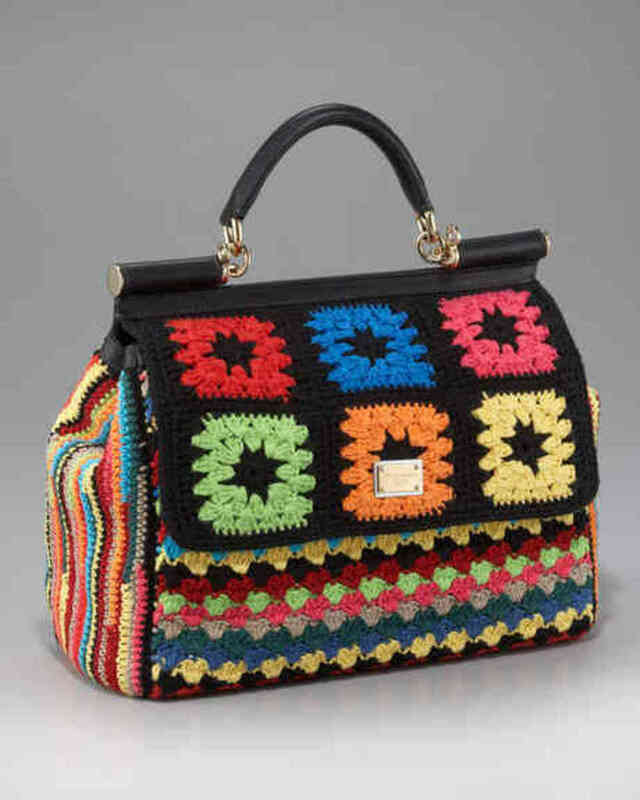 Great way to carry your scarf with you and also a dash of color too! To me there is nothing more classic than a basic tan trench coat and then add tie on the shoulder a colorful silk scarf. This is how I often wear my Grandmother's scarf. The tan and the navy look wonderful but the scarf takes away that manly look of the trench coat. The masculine trench with the soft silk scarf is a great composition. Just as glovescan be worn in the summer and for evening galas, scarves are not just for winter anymore! A silk scarf on a spring coat is a clear fashion winner! Scarves - Great Fashion Accessory and Frugal Too! Just as the bright colors of a scarf can uplift your spirit so too, the addition of a scarf can be a long term investment and be a frugal purchase. Silk scarves for women are always a welcomed gift. You don't have to own allot of scarves to make a fashion statement - simply one or two in the right color combinations for you will take you long way. Hermes sets the standard - the platinum standard in scarves but there are allot of great silk scarves - the main item is the color and the pattern must suit your personality. Silk Scarves are Time and Romantic - Great Gift! Silk scarves are timeless. Silk scarves are romantic. Men - BIG TIP - a great silk scarf is can be more romantic than a piece of jewelry. Take your better half shopping, bookmark in your mind her favorite scarf. Return and surprise her for Valentine's Day, your anniversary or her Birthday. A scarf can be much less expensive than jewelry but just as memorable, personable and romantic too! Hub Pages is a wonderful place to share ideas, meet new friends, learn about new hobbies and interests. Enjoy Hub Pages? Join us as a writer - simply click here! Hermes scarves are like Italian shoes, they are an investment, not a trend, an investment to carry us through decades of fashion. Yes, you are absolutely correct. It never fails but men always compliment me on a scarf - never hardly on jewelry. Scarves are one of the best timeless fashion accessories we women have. 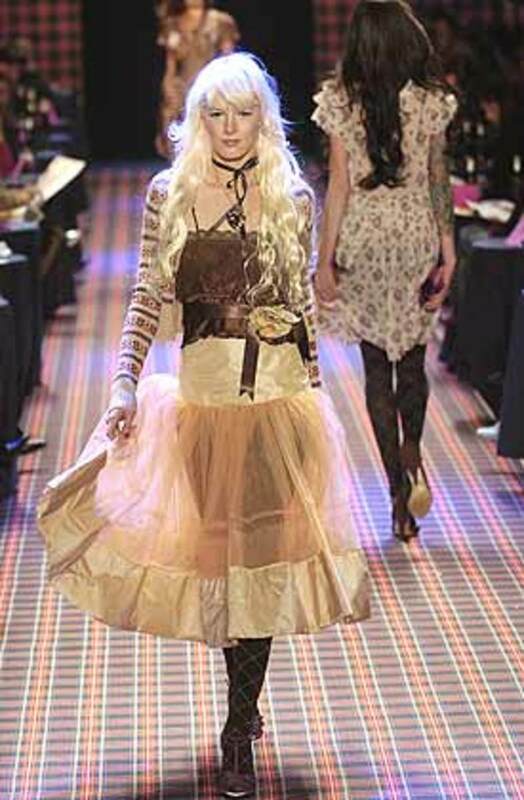 Men have ties, we have flowing scarves-once again we women win for style and beauty! Great article. They are beautiful. Expensive? Yes but, because they do get used in a variety of ways, you would get your money's worth. I agree - silk and pashmina scarves are gorgeous and so versatile! Thank you for sharing your hub with us. I LOVE silk and pashmina scarves. Its gorgeous! You are right - the investment for Hermes is not for everyone. I like to call this extreme purchase a legacy piece of clothing - something to be handed down to children and even grand children. Beautiful Hub and great ideas! Hermes has always been a favorite of mine. Whether vintage or new, their scarves are exquisite. I liked the fact you also included other beautiful silk scarves for those of us not quite ready to make the investment in an Hermes! I agree with you. A nice scarf can make a lot of difference. Change your look. I am truly jealous - wow! Love Hermes scarves! Nothing better for the wardrobe. Great investment - lasting - and you are right - 50 would be better than 5! I own five hermes scarves and I love them all. I wish I owned fifty but I shall keep collecting ! The types and materials are just about endless - something for every wardrobe and something for every personality and style. The scarf is the single most versatile of all accessories and it is "season-less" - it lasts and lasts - never going out of style. I wear my Grandmother's silk scarf to this day - it is has frayed but still looks greats. 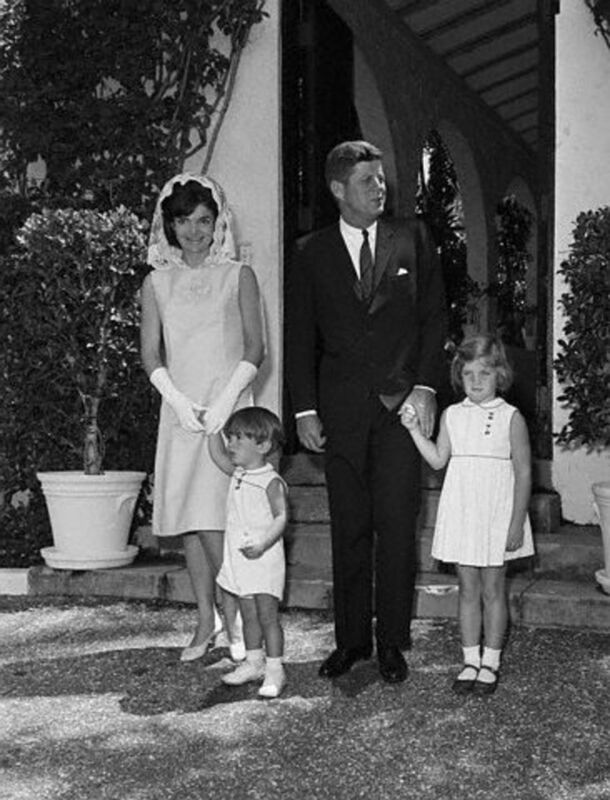 What a legacy she left me the woman who was appalled with the number of outfits when we could only wear one at a time! Yet, she took great pride in her silk scarf. 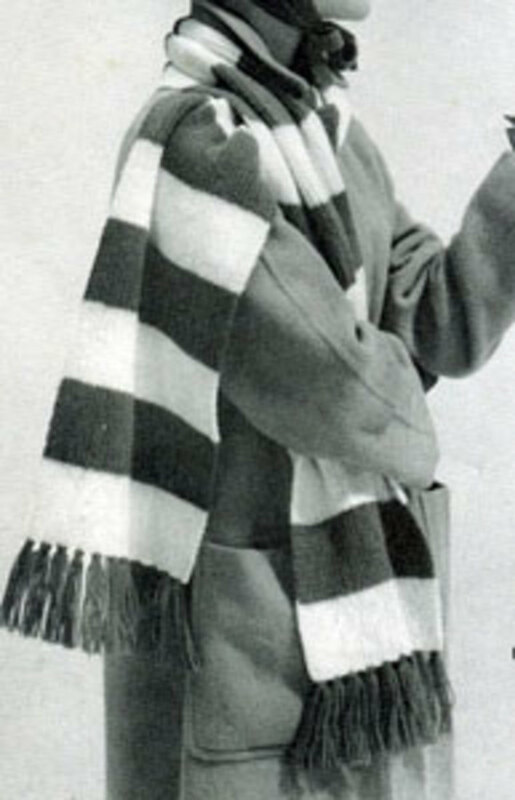 Always frugal in nature but a woman who knew the value of great style - that is the true beauty of a scarf. Silk scarves are very classy, they give a woman totally different look. I love the pictures in this article! I loved reading your hub about scarves. There's so many lovely types and materials. Yes, I pulled her photo - don't like me - check our a real me for the moment. I must work on this profile photo thing. Argh! Thank you stopping by! I agree - LOVE is the right word for it! Thank you very much! I had forgotten too! 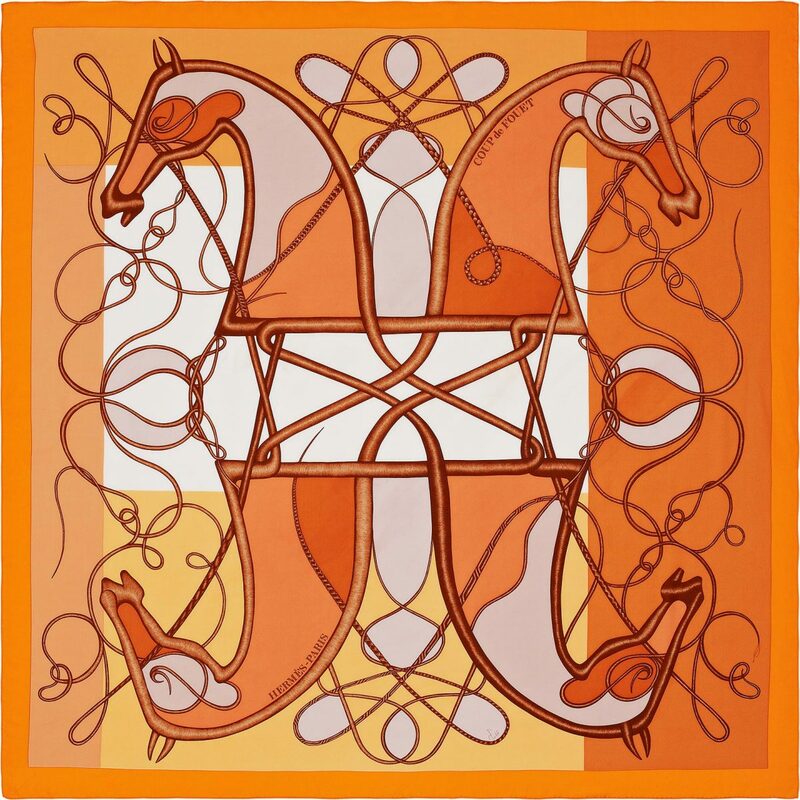 One of my dreams to have one or better yet while I am dreaming - a collection of Hermes scarves! One in each color grouping! Isn't it appropriate that these exquisite scarves are named after the Greek's greatest God?! A great messenger and underwater guide - and I love the water! Very appropriate and he is a good looking Greek God too! I love scarves and Greek Mythology so this hub made for great reading. voted up! Never thought of a bangle bracelet. And I love bangles too! Great idea! Thank you for sharing your hub with us. Scarves can add just the right touch to hair, hand bags, as a belt, around the neck or even twisted to form a fabric bangle bracelet. I can sympathize, I struggle with cars so we are completely even! I greatly appreciate you stopping by. LOL, ok I tried, cut could not get interested in your scarves. I too love silk - nothing more luxurious. 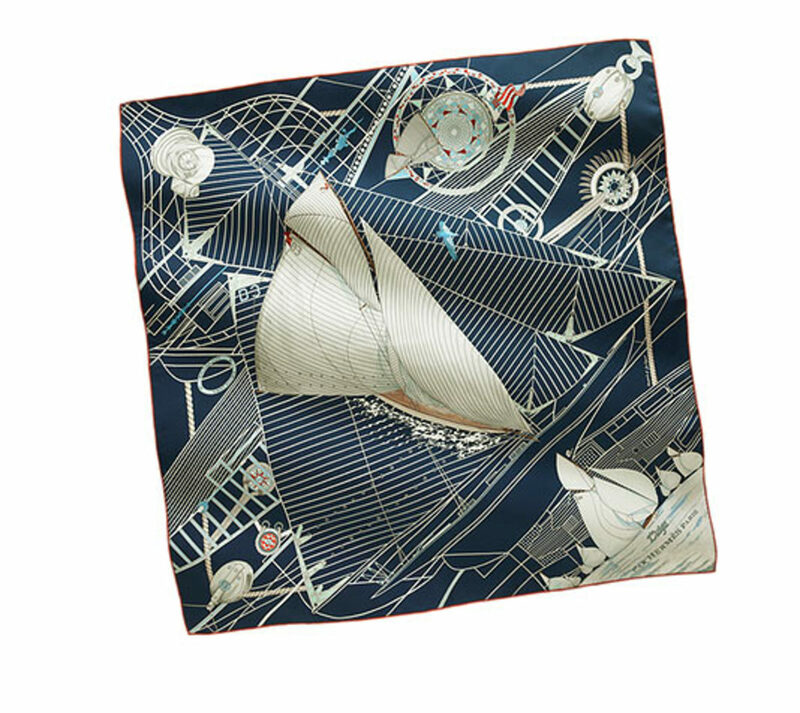 I will know that I have "make it" when I can own a Hermes silk scarf. 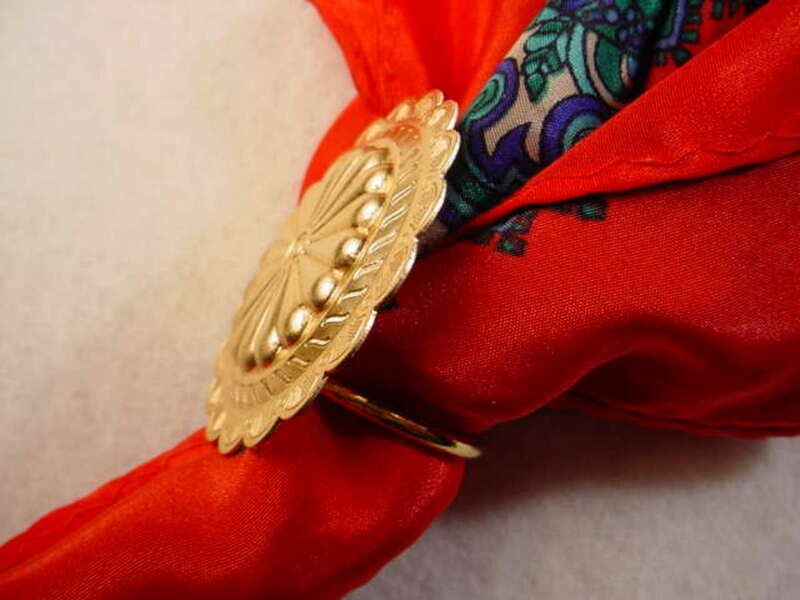 For now, it is a true luxury just to wear Grandmother's old silk scarves. Thank you for your words of praise - very much appreciated. There is nothing like true quality - especially so beautifully done. I love these scarves. And they feel as good as they look! Great stylish hub. Thank you and rated up of course! You are absolutely correct! And nothing adds so much to a women's wardrob as a scarf - and we forget about it! Thank you for stopping by! Hermes is amazing. I love their silk scarves. One of my favorite accents for my scarf is my buffalo scarf ring I bought from www.scarf-rings.com. 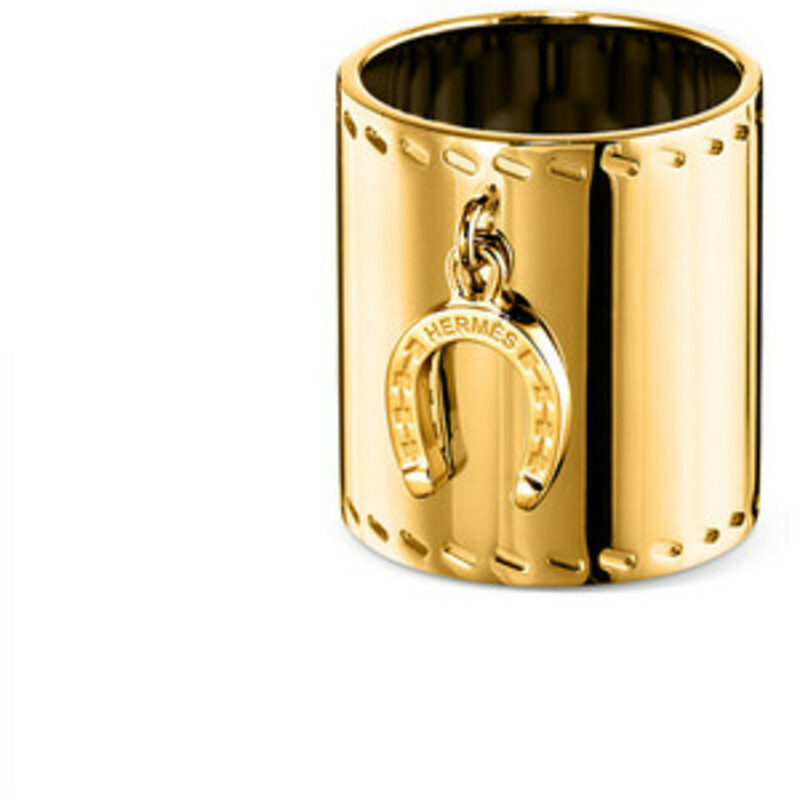 I just could afford to by one of hermes's scarf rings, so I bought one of these. I love Hermès' scarfs as well! There is nothing like a wonderful foulard attached to an elegant handbag... My absolutely favorite is one that I bought many years ago at Harrods in London. It was a limited edition that was scented with Calèche perfume and you can still smell the fragrance!